Patients who have failed IVF cycles are a challenge to treat. They have lost confidence in themselves and their doctors, and they are now looking for "better" options in order to improve their chances of success. It's very tempting for the doctor to order new tests and try out new treatments, in order to maximise the chances of success, but the truth is that it's very hard to test how effective the new interventions. New is not always better ! This is true with all biological systems, because they are complex and messy. However, both doctors and patients are humans, and we crave simplicity and certainty. This is why it's so tempting to do new stuff in the IVF clinic. Fashions come and go, but the temptation to do something "different" always remains. It's very hard to check the effectiveness of these interventions, most of which remain unproven and untested. It's difficult to do controlled clinical trials, because no one is willing to pay for them. This is why IVF treatment is so full of bias and prejudices - we all get swayed by our anecdotal successes, which are so easy to find on websites, bulletin boards and forums. What is the poor patient to do ? 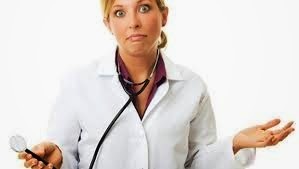 How can you be sure that your doctor is not just trying to take you for a ride by peddling an unproven treatment ? The truth is that a lot of these tests and treatment can be actually harmful because of their toxic side-effects . Not only are they expensive, they also mislead the patient and the doctor , and can waste a lot of time. This is why it can be hard to know what to do, and we are quite happy to be pragmatic about this and follow the "middle path ". We think it's OK to try out empiric therapy, if it's inexpensive and safe, even if it has not been proven to be effective. Thus, if a patient does acupuncture and attributes the success of her second IVF cycle to the acupuncture , we are quite happy for her. However, this does not mean that we will start advising that all our patients do acupuncture routinely - after all, a swallow does not make a summer ! If the patient is keen on the test or treatment , I find that it's very hard to have a rational discussion with them. Often, they have made up their mind, and will not listen to me when I say that ' I don't think it is beneficial'. Patients who have failed IVF and are willing to try again need to be optimists, and many will only hear what they want to hear. However, I am always happy to explore the option in a non-judgmental fashion. After all, I don't have all the answers, and am always happy to learn from my patient's experiences. I ask them to think about only one key question - Will it change their approach to treatment? A common justification for all the overtesting and overtreatment is - how can it hurt ? However, the truth is that it can ! We will draw the line at empiric treatments which are expensive, or potentially toxic, such as anti TB drugs to treat a positive TB PCR test result; or IV immunoglobulins to "treat high NK cells". After all, the first rule of medicine is - Primum Non nocere ( First, do no harm), something which many doctors seem to forget . It's true that there are many couples who succeed after multiple attempts and there are two critical aspects of their success: (1) their determination to continue , because the more embryos transferred, the greater the probability that one will implant), and (2) careful consideration of every detail of their treatment, which is were ‘empirical treatment’ comes in. It is possible to be more focussed and directed in empirical testing and treatment. This requires an intelligent patient, who is willing to discuss uncertainty, and engage in a conversation of their possible options. We are willing to be open-minded and compassionate, and will not pretend that we have all the answers. This makes some patients very uncomfortable, because they want a doctor who they believe has all the answers, because he is the expert ! It can be comforting in the short-term to go a doctor who "takes charge" and tells you what to do , but this may not be your best choice in the long-term. There is no ‘one-size fits-all treatment package’. Each IVF cycle should be personalised and optimized to transfer the embryo with the best chance of becoming a bay into a uterus that is perfectly prepared.
" I don't know" rather than one who pretends to know it all. I tailor my approach to each patient. How many IVF cycles have they done so far ? What was the quality of their embryos? How good was the treatment they have received? How much time do they have? How much money? This doesn't mean I am wishy-washy - it reflects the fact that I am willing to be flexible and to respect the patient's preferences. As a human, I am aware of my prejudices, and do get swayed by anecdotal successes, but I do need to consciously remind myself of the failures as well, in order to keep myself honest ! Need help in exploring your IVF options ? Please send me your medical details by filling in the form at www.drmalpani.com/free-second-opinion so that I can guide you better !